Federal employees affected by Superstorm Sandy can withdraw emergency funds from their retirement account, the Thrift Savings Plan has announced. 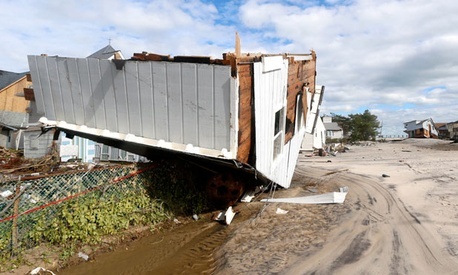 Workers who live in the covered disaster area -- counties in Connecticut, New Jersey, New York and Rhode Island -- or who have relatives affected by the storm can withdraw money from their TSP investments to pay for losses. While TSP typically prohibits employees who use the “financial hardship” provision from making contributions in the six-month period after withdrawal, it will make an exception for those who take out money because of Sandy. Standard financial hardship withdrawals are only for employees who have “an immediate and significant financial need that necessitates a distribution” as a result of negative monthly cash flows, medical expenses, legal expenses for separation or divorce, or personal casualty loss. The funds are subject to federal income tax and an additional 10 percent early withdrawal penalty tax if the employee is younger than 59.5 years old. Employees must work for the federal government currently and apply by Jan. 25, 2013, to be eligible for the Sandy withdrawal option.